I passed by this beautiful work of art or should I say advert today while roaming around the streets. 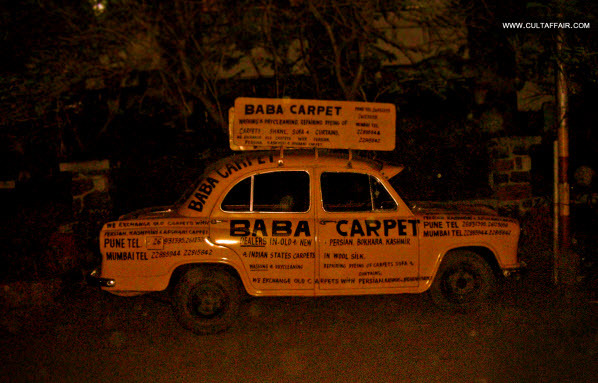 This car is actually owned by a company dealing in carpets – Baba Carpets. 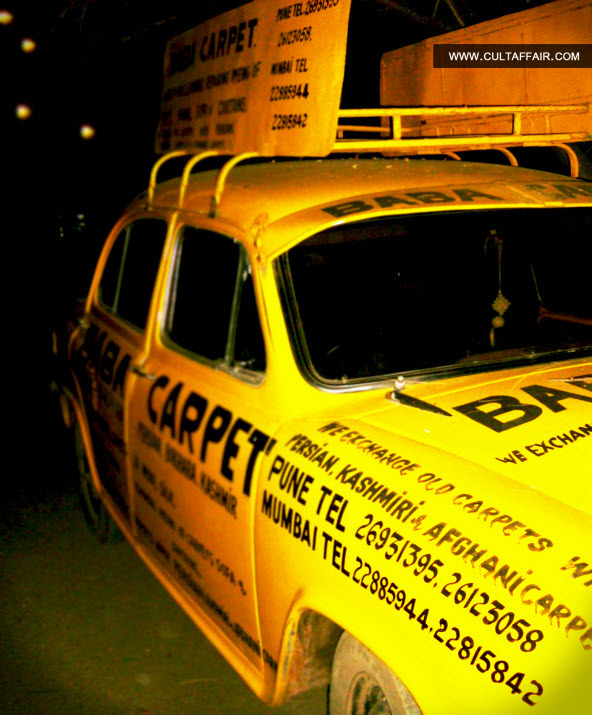 This car, when not being used for their delivery purposes, is strategically parked outside doing the silent advertising. Brilliant strategy me thinks. 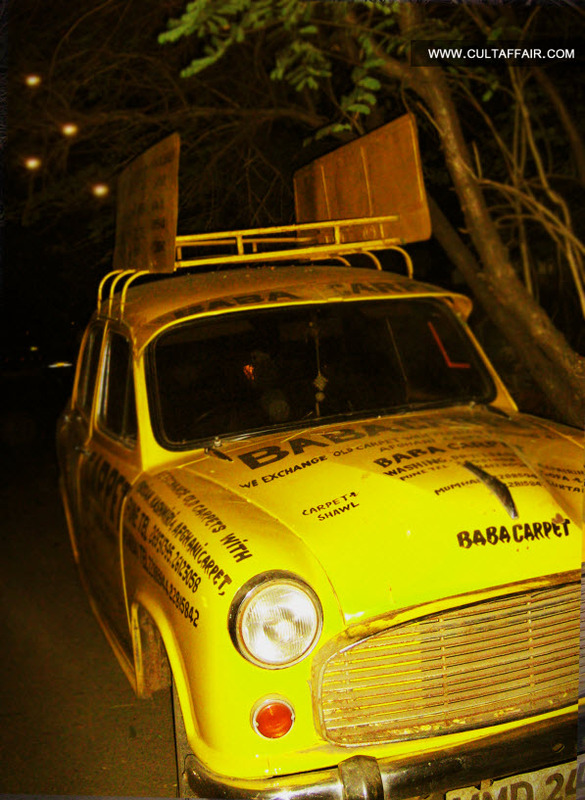 It thinks its near Madhukunj Soc., Korgaon Park! Our old office was there before we shifter to current new office! Haha thanks ya Rahul! Managed to have a small chat with the owner. Very pleasant man!